This pastel drawing was a commissioned pet portrait. 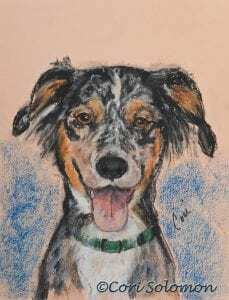 It depicts a Australian Shepherd, also known as an Aussie named Cooper. It appears that Cooper is very happy as he almost has a smile on his face.